Kumkum Bhagya Abhi Pragya get married: Abhi plans to marry Pragya in the same mandap after Neha and Tarun’s marriage. King also plans to propose Pragya and give her mangalsutra after Neha and Tarun’s marriage. Both of them want to marry Pragya. Abhi thinks marriage shall happen soon so that she becomes his wife again. He asks her to decide what she wants and says I don’t want that problem after marriage that you don’t want something or not. Pragya asks marriage? She asks what does he mean? Abhi pulls her closer and asks her to listen to his sayings after marriage and don’t argue with him. Pragya gets surprised. Chachi hears them and asks whose marriage? Abhi makes an excuse that he was talking about Neha and Tarun’s marriage. Neha and Tarun’s marriage rituals begin. Tanu searches for the proofs in Abhi’s room. Disha tries to stop her and alerts Abhi. Abhi holds Pragya’s hand and takes her to the mandap. He takes the wedding rounds with her and marries her once again, while King get startled with the sight of their wedding. 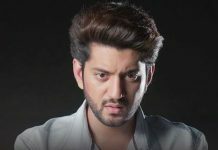 Tujhse Hai Raabta: Malhar handles the situation when Inspector tells that he wants to congratulates two students who helped them to catch the terrorists. Anupriya gets tensed. Malhar tells him that Anupriya is Kalyani’s mother. Inspector appreciates and congratulates both for their courage and bravery. Aao Saheb’s hatred has ended for Malhar. Band baaja comes to their house. Malhar, Kalyani, Aao Saheb and others come out of their house. They see a big car coming. Sampada and Atharv get down from the car. Sampada smirks. Atharv shows the trophy in his hand and keeps on the car. Everyone looks on upset and angry. Atharv and Sampada create a scene. Atharv warns Malhar and tells him that he will crush him being rich and asks him to give Sampada’s son. Malhar refuses and gets more determined to punish them.